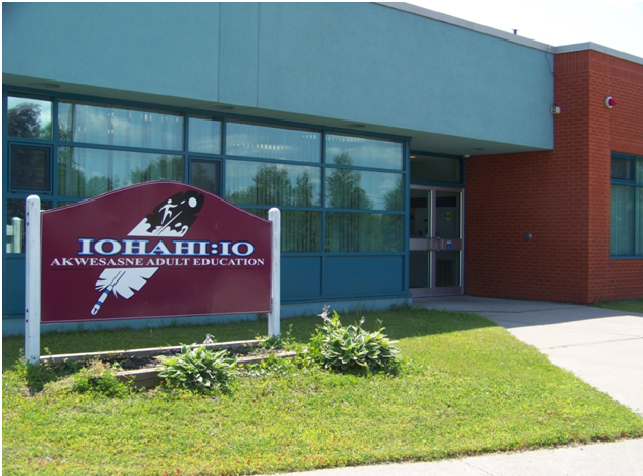 Since 1989, Iohahi:io Education & Training Centre has offered college and university programs through agreements with public colleges and universities such as St. Lawrence College. Iohahi:io also provides the community with tutoring in Literacy and Basic Skills, in a culturally sensitive manner to increase academic skills for entry into higher levels of education, such as the high school diploma program, and/or to obtain employment. Contact Iohahi:io at (613) 575-2754 for current upcoming programs & courses. Earn credits toward completing your Ontario Secondary School Diploma. Applications for this program are accepted year round Monday to Friday. Full time programming is offered at Iohahi:io from September to June. Contact Iohahi:io at (613) 575-2754 for application requirements. No matter what or where your starting level may be, our staff will help improve your skills. There are 5 Goal pathways learners can select; employment, apprenticeship, secondary-school credit, post-secondary education, and independence. Contact Iohahi:io at (613)575-2754 for application requirements. Improve your skills in computers, communications, math, reading, and spelling. Training will assist participants to gain the essential skills necessary to fully participate at work and contribute to a productive workplace. Contact Iohahi:io at (613) 575-2754 for application requirements. Programs of study offered promote individual and collective economic and social well-being. Programs and courses change, contact Iohahi:io at (613) 575-2754 for current programs & deadlines. Iohahi:io occasionally delivers various training and certificate programs. Contact Iohahi:io at (613) 575- 2754 for upcoming training programs. Our centre is now available for hosting meetings & workshops. With up to date classroom facilities, equipment, kitchen and dining area, we can serve groups of up to seventy-five (75) people. Please call us in advance for more information on space availability and details on your group’s special needs & requirements.